Are you one of those blues fans who says, �They just don�t make them like they used to,� when you listen to a modern blues recording? 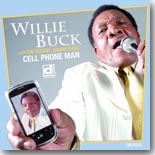 Well, now you can file that phrase away for a later date because Chicago bluesman Willie Buck and Delmark Records just released a disc, Cell Phone Man, that sounds �just like they used to.� Buck, a longtime �weekend warrior� on the Windy City blues circuit (working as an auto mechanic during the week), has been a huge fan of the �50s Chicago sound, dating back to when a relative snuck him into a club to see Muddy Waters. Cell Phone Man includes several songs that were part of the Waters repertoire, including �Blow Wind Blow,� �What�s The Matter With The Mill.� �My Eyes Keep Me In Trouble,� �Streamline Woman,� and �Going Down Main Street.� However, don�t dismiss Buck as a mere imitator. He has a strong and distinct vocal style all his own, and he also composed seven of the 17 tracks himself, a fine set of tunes that hold up well with the classics. �Doin� Good And Bad At The Same Time� is a classic Chicago track, while the title track, despite its modern subject matter, sounds like a lost Chess single. �I Wanna Talk To My Baby,� another Buck composition, is an earthy number featuring Buck backed by Rockin� Johnny Burgin�s acoutic guitar, also featured on �Two Trains Running.� �Tried To Work Something Out With You� sounds like vintage Billy Boy Arnold, and he also does a fine job on tracks like Ted Taylor�s �Darling I Miss You So,� Gene Halton�s �Tow Truck Man,� and �Two Women Talking,� a loping boogie track in the Magic Sam tradition. Buck doesn�t do this alone�.he�s backed by Burgin�s band (Rick Kreher � rhythm guitar, John Sefner � bass, Steve Bass �drums), plus the incredible Barrelhouse Chuck on piano, and an impressive pair of harmonica players�..Martin Lang (Taildragger, Rockin� Johnny, Little Arthur) and Montreal-based blues sensation Bharath Rajakumar. Rockin� Johnny�s guitar work is top notch as well. Traditional blues fans will definitely find what they�re hungry for with this great new release. This is as good as it gets these days for the �50s era Chicago Blues. Thanks to Willie Buck and Delmark Records for doing their part to keep this timeless music alive. 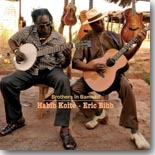 Ten years ago, American singer/guitarist Eric Bibb met West African singer/guitarist Habib Koit� when the pair were involved in recording for the Putumayo collection, Mali to Memphis. The pair struck up a friendship, and realizing that the blues originated in Africa, began planning a collaborative project of their own. The result is Brothers in Bamako (Stony Plain Records), an album of stunning beauty and charm that melds Bibb�s blues, folk, and gospel influences with Koit�s own West African folk/world music influences. Both artists share a little bit of their experience with the first two tracks. Bibb shares his thoughts on the opening cut, �On My Way to Bamako,� and Koit� does the same on the next track, �L.A.� The disc is a guitar player�s dream as each musician takes a turn at acoustic guitars, 6-string banjos, ukeleles, and joined by Mamadou Kone, who plays percussion throughout. Brothers in Bamako shows, as well as any disc I�ve heard, that the line between traditional blues and West African music is a very thin one indeed. We should be eternally grateful to Stony Plain Records for getting Eric Bibb and Habib Koit� together for this project. A 28-year vet of the Chicago blues scene, guitarist Mike Wheeler got his start backing piano man Lovey Lee in 1984, and paid his dues toiling for artists like Cadillac Dave and the Chicago Redhots, Sam Cockrell & the Groove, Nellie �Tiger� Travis, Big James & the Chicago Playboys, and Peaches Staten and the Grooveshakers. He�s also played with Koko Taylor, Buddy Guy, B.B. King, Son Seals, Willie Kent, Jimmy Johnson, and Shemekia Copeland. He�s also led his own band for ten years, releasing his own CD in 2004 and emerging as one of Chicago�s brightest new stars. 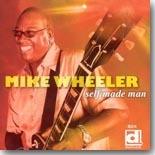 Wheeler and his band (Brian James � keyboards, Cleo Cole � drums, Larry Williams � bass) get to strut their stuff on their Delmark debut, Self Made Man. Wheeler and the band wrote all but one of the 13 tracks, the lone cover being Willie Dixon�s �Let Me Love You Baby,� which Wheeler gives a fresh coat of paint by using the familiar �Rollin� and Tumblin�� rhythm as a backdrop. Of the original tracks, the upbeat opening cut, �Here I Am,� the relationship-gone-awry tale, �Big Mistake,� and the strong title track (one of three tracks featuring Omar Coleman on harmonica) are standouts, but there�s plenty more where that came from. �You�re Doing Wrong� is a mid-tempo West Side-flavored blues rocker that includes some standout guitar work. A pair of songs (�Walkin� Out That Door� and �I Don�t Like It Like That�) address the effects of romantic betrayal, and �Moving Forward� can best be described as cosmic funk/blues, with Wheeler laying down the fiercest and funkiest riffs since Eddie Hazel back in the P-Funk days. Wheeler is a fantastic guitarist with an endless supply of riffs, and his vocals are also top notch, as he easily moves from the smooth R&B to the rougher blues tracks. It sort of makes you wonder why it�s taken him this long to get to this point. Fortunately, he has arrived though, and blues fans are the better for it. Look for great things from this talented musician and Self Made Man is a great place to get started. Houston-born, L.A.-based Teresa James has performed with a pretty prestigious list of artists that includes Bonnie Raitt, Kirk Whalum, Delbert McClinton, Marcia Ball, Tommy Castro, and Lee Roy Parnell. She�s sung on albums by Whalum, Randy Newman, Castro, Walter Trout, Stephen Bruton, and Glen Clark, and has also graced several TV and movie soundtracks. Come on Home (Jesi-Lu Records) is her eighth recording with her band, the Rhythm Tramps. James� music is a mix of blues, soul, roadhouse rock, and Cajun. She�s a powerhouse vocalist and is backed by a strong group of musicians that includes Mike Finnigan, who plays B3, piano, and duets with James on the Etta James cover, �If I Can�t Have You,� guitarist Billy Watts, drummers Tony Braunagel, Herman Matthews, and Jim Christie, piano man Jon Cleary, a tight horn section (Jerry Peterson � saxes, Lee Thornberg � trumpet), accordionist David P. Jackson, and background singer Leslie Smith and Debra Dobkin (who also doubles on percussion). The man who makes it all go is producer Terry Wilson, who also plays bass, guitars, contributes background vocals, percussion, and keyboards. James runs the table on tracks like the funky title track that opens the disc, the soulful �Forgetting You,� and the boogie track, �Long Way From Texas.� She ably handles the greasy Memphis soul of �Still Got The Message� and �That�s Just Love,� and the Motownish �She�s Got A Way With Man.� The Cajun spice of �Voodoo Doll� is a nice change of pace, as is the acoustic guitar work of Wilson and Watts on �Carry That Burden.� The closing two tracks, �I Can Do Better� and �All I Wanna Do Is Dance� are guaranteed to get you on your feet. Come on Home is a great listen from start to finish. Teresa James has a voice that comes from deep down in the soul, as real and authentic as it gets. When she sings, you know she means it. Keyboard player David Maxwell has been a part of the Boston blues scene since the late �60s. Since that time, he has played with Freddie King, James Cotton (winning a Grammy for his work on Cotton�s Deep in the Blues CD in 1996), Jimmy Rogers, Ronnie Earl, Bonnie Raitt, Otis Rush, Hubert Sumlin, and many others. He can be heard on many of these same artists� recordings as well. In the early �90s, he started leading his own band and releasing his own recordings, sometimes venturing into jazz, but always remaining firmly rooted in the blues tradition. 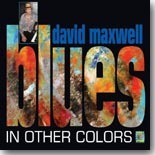 Maxwell�s latest release, Blues in Other Colors (Shining Stone Records), is probably his most ambitious yet. This release finds Maxwell blending traditional blues instruments such as keyboards, guitars, bass, and drums with instruments from India, West Africa, Morocco, and Turkey, giving the blues a distinct international feel. Assisting Maxwell is a stellar set of musicians, including guitarist Harry Manx, who plays the Mohan Veena, an Indian hybrid guitar/sitar, Jerry Leake, who specializes in Indian and West African percussion, Fred Stubbs, who plays the Turkish ney, and Boujmaa Razgui, a Moroccan who plays the raita and oud. The 13 all-instrumental tracks were written by Maxwell and he expertly mixes his traditional blues piano playing (with an occasional venture into jazz territory) with these unique instruments. Tracks like �Big Sky,� �Blue Dream,� �Harry�s Raga,� �Chillin� In Casa,� and �Movin� On,� all give you a taste of the international, but with Maxwell and the excellent rhythm section, the blues is still very present on these tracks, fading to the background one minute, then emerging to the forefront the next. It all fits together seamlessly. The above-mentioned rhythm section (Marty Ballou � double bass, Paul Kochanski � electric bass, Eric Rosenthal � drums, Andy Plaisted � congas) deserves special mention for their work. Maxwell�s regular guitarist, Troy Gonyea, does a fine job in support and when he steps out front, as on the couple of traditional tracks (�Cryin� The Blues� and �Just The Blues�) included on the disc. Some blues purists may be turned off by the concept of mixing the blues with world music, but that�s only because they haven�t listened to Blues in Other Colors. Once they�ve given it a spin, they will warm up to the idea quickly. 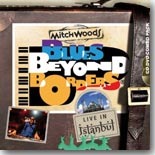 In 2010, Mitch Woods and his band, the Rocket 88�s, toured Turkey with the Efes Blues Festival, playing 26 shows in 20 cities over five weeks. During their stop in Istanbul, the band was recorded live in front of an enthusiastic audience and the results can be seen and heard on the CD/DVD set, Blues Beyond Borders: Live in Istanbul (Club 88 Records). Woods is an outstanding, charismatic performer, and his band, which includes Rhythmtown Jive guitarist Adam Gabriel, bass player/singer Cornell Williams of Jon Cleary�s band, Crescent City sax man Amadee Castenell, and blues/R&B drummer Larry Vann, are in top form on this sterling set of mostly jump blues and New Orleans-flavored R&B tunes. The tunes range from fairly familiar covers (�Rocket 88,� �In The Night,� which is mixed with one of Turkey�s most popular rock tunes, �Lambaya Puf De,� �Third Degree,� sung by Williams in fine Johnny Adams-like style, and Rene Leon�s �Crawfishin��) to less familiar but equally formidable fare (the boisterous jump tune, �Down Boy Down,� Roy Milton�s �What Can I Do,� and �House of Blue Lights�). Woods himself offers up some dandy originals that blend ideally with the setting (�Solid Gold Cadillac,� �Mojo Mambo,� a great slice of New Orleans funky R&B, �Boogie Woogie Bar-B-Q,� and the excellent old school R&B track, �Long, Lean, & Lanky�). The song list on the CD and DVD are identical, but on the DVD, Woods mixes in a few clips about the Turkish people, their culture, and their hospitality. Other extras on the DVD include footage of the band�s travels (accompanied by Kenny Neal and his band) and some of their stops throughout the country, along with info about some of the crew that traveled with them. However, the highlight of the package is the music. Mitch Woods and his crack band sound fantastic on these tunes. If you�re a fan of New Orleans R&B and jump blues, you need to check out this set. Blues renaissance man Al Basile always has something interesting to say on his recordings. His past efforts have blended blues and jazz similarly to Roomful of Blues, with whom Basile played cornet in the early to mid �70s. He�s a fine composer as well. Most of his songs have a strong literary bent to them�..no surprise there, since Basile originally intended to be a poet and fiction writer and was also a teacher for 25 years. In the late �80s, he reunited with Roomful founder Duke Robillard and they have enjoyed a fruitful musical partnership ever since. Basile has written songs and performed on many of Robillard�s releases and Robillard has returned the favor by working on all of Basile�s solo recordings as a producer and guitarist. Basile�s latest release, At Home Next Door, a two-disc set on his own Sweetspot Records, is a gem of a recording. Disc one consists of handpicked remastered tunes from his previous releases that represent his version of the blues, hence the �At Home With The Blues�subtitle. Disc two, �Next Door To The Blues,� finds Basile tackling 13 new songs in a Memphis soul style that harkens back to the heyday of the �60s Bluff City scene. The retrospective on Disc one includes 13 tracks from Basile�s catalog. His work has been so consistent that these songs sound like they might have come from the same recording, but they cover a 14-year span. The remastering makes these recordings sound even better. The final tune on the disc, �Eighty Bells,� is actually a new track, an acoustic duet with Basile and Robillard�. their first such effort. Al Basile has raised his profile considerably over the past few years. His past four discs have charted in the Top 15 on the Living Blues airplay charts and he�s been nominated for two BMAs in 2010 and 2012 as Best Horn Player. This retrospective/new release should raise his profile even more, showcasing his versatility as a songwriter, singer, and musician. Some time back, bluesman Tas Cru was talking to a young blues fan, who told him that she liked the blues, but was tired of bluesmen crying about all of their hard luck and troubles. She said many of them probably deserved what they go because of choices they made and their lifestyles and that she preferred the upbeat �getting over it� blues. Inspired by this conversation, Cru has released his latest disc, Tired of Bluesmen Cryin� (Crustee Tees Records). With all the lighthearted tone, the disc does end on a more serious note�..it wouldn�t be the blues without a little suffering and misery. �Heal My Misery� is a tense, swampy drama, and �Dark Side of the Mountain� is a subdued track dedicated to the plight of the soldiers and families of the U.S. Army�s 10th Mountain Division. Assisting Cru, who plays acoustic, electric, resonator, and cigar box guitars and harmonica, are Larry Devino (bass, percussion), Joe Goehle (bass), Andy Hearn (drums, percussion), Chip Lamson (keyboards), Tony Perrino (keyboards), and Jeremy Walz (slide guitar). Tired of Bluesmen Cryin� is sure to put a smile on your face and a hop in your step. Who says the blues has to be sad all the time? 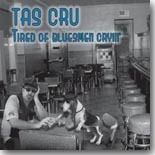 Tas Cru remains one of the most talented, original, and versatile blues musicians currently working and this disc is a fine addition to his catalog. Sunny Crownover has been a part of several Duke Robillard projeccts over the past few years. The Massachusetts-based singer has appeared on a couple of Robillard�s releases (Stomp! The Blues Tonight! and Tales From the Tiki Lounge) and also on her own 2009 disc, Introducing Sunny and Her Joy Boys. Those releases focused on jazz, blues, and �40s and �50s-era pop, all genres that Crownover handled with ease. Her latest effort, Right Here, Right Now (Shining Stone Records), finds her going back to her roots, dating back to her days as a singer in Austin, TX, singing blues, roots, and R&B. Crownover sounds marvelous. Her soulful vocals manage to be cool and sultry at the same time and she�s right at home with the material. Robillard handles all the guitar chores and is backed by many of his usual cohorts (Bruce Bears � keyboards, Brad Hallen � bass, Mark Teixeira � drums, Mike Tucker � tenor sax, Doug Woolverton � trumpet, Doug James � baritone sax, Billy Novick � clarinet). Sugar Ray Norcia guests on harmonica and background vocals are provided on one track (Jon Tiven�s �Can�t Let Go�). Right Here, Right Now is a great set of new blues and R&B tunes from a skilled singer and a super band. Sunny Crownover proves that she�s adept in a number of genres and it will be interesting to hear what she and Robillard do on their next project together. J. P. Reali, who�s been a part of the Washington D.C. blues scene for nearly 30 years, first as lead guitarist for The Next Step, an �80s psychedelic blues band, then as part of the acoustic blues/roots duo, The Reali Brothers (with his brother Chris), in the �90s. He�s been a solo artist over a decade, releasing two CDs of acoustic blues mixing his interpretations of blues standards with his own original compositions. The Road to Mississippi (Reali Records) is his third solo effort. He penned nine of the ten songs (plus two instrumental interludes). His brother contributed the ominous �Jefferson Lament,� a tale of a plantation worker�s endless toil, and the pair co-wrote the harrowing �The Book or the Bottle,� a clash of wills between the sacred and the profane. Reali�s own compositions range from the slide-driven romp, �Going to Mississippi,� the socially conscious �My Soul or Skin,� the timely �Busted Boy Blues,� �Dark, Strong, and Steaming� (a metaphorical ode to coffee written in the tradition of Mississippi John Hurt), and �Cold Steel Blue,� a new addition to the freight train blues canon, albeit with some excellent fingerpicking from Reali. On �Bloozin� in NYC, Reali plugs in, a la Elmore James, with bass and drum backing. Though Reali plays most of these tracks unaccompanied, he�s joined on four tracks by The Nighthawks� frontman, Mark Wenner, on harmonica. Also lending a hand on a couple of tracks is former Nighthawk Peter Ragusa on drums along with veteran bass player John Previtti on upright bass. Reali�s guitar work is excellent and his confident vocal delivery is a plus as well. 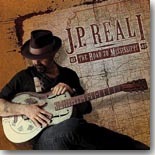 J. P. Reali�s The Road to Mississippi is a well-played set of acoustic blues, that captures perfectly the spirit and feel of Mississippi Delta-influenced or Piedmont-style blues guitar. Barely Alive. While I hope we�re all alive for the next disc, we probably should give this one a listen. A walk at night along the levee comes to mind as Colin sings about the beauty of the South in �John Lennon in New Orleans.� �Creole girl�I�m a stranger in a foreign land�a wanted man no one can recognize�help me please�I want to hold your hand�sleepwalk with me tonight.� A beautiful tune with a melody brought to life by Colin�s guitar; this is another of my favorites on the disc. �From the Water� finds Colin at his bluesy, rocking best on another tune with a swamp edge to it. �She holds on�she holds on�to what she�s got�she knows who she is�and what she is not�I will pull her from the water�forever to be mine!� �You�re not alone�though every breath�s a struggle�you�ve got a home right here in my heart�I will lead you�.through your dark night of the soul� is a verse from our next cut, �Dark Night of the Soul.� Colin tackles this tale of salvation and redemption with just the right amount of patience and tenderness as he does what he can to ease of the burden of the one he truly loves. �Too Late to Holler� is a tune Colin wrote to let us know not to grieve too much when he passes. �Don�t anybody ever grieve too hard�play my records in my backyard�no need to worry or scream about�.just say my time has done played out.� Sound advice for all of us to heed in a situation where a loved one has indeed lived the life well lived. Colin�s many talents are legendary and they�re all featured prominently on his latest disc for Yellow Dog Records. Great songwriting, amazing musicianship and the intimacy of the live audience all contribute to a great disc. You can find out more about this �alien of extraordinary ability� on his website at www.colinlinden.com. Grab a copy of Still Alive while you�re there or head over to the Yellow Dog site for your copy at www.yellowdogrecords.com. And here�s hoping we�re all still around for the release of Barely Alive when it comes out as well! Took a recent trip to Texas and had a chance to visit with my good buddy, Jeff Strahan, and his beautiful bride, Lois. We went on a tour of West Texas and I enjoyed the opportunity to catch up with them and see Jeff play a couple of gigs. I first met Jeff and Lois several years ago at the IBC and have followed him ever since. Jeff�s a Texas Bluesman, born and bred, and I really enjoy his artistry. His newest project, Blue �Til I Die, is easily his best record to date, so let�s dive into it. Jeff�s Strat kicks in with the lead on our first cut, �Good Outweighs Bad,� and it�s the perfect lead song. Life isn�t always easy and Lord knows we�ve all had our trials and tribulations, it�s how we deal with them that matters. As Jeff says, �I�ve done my time�I�ve paid my dues�I�ve walked 10,000 miles in these 100 mile shoes�ain�t always rosy�.along this path�.thank God the good times�outweigh the bad!� Getting through to the other side isn�t always easy but Jeff�s managed to find a balance that serves him well. Tempo picks up and the bass of John June sets the tone for our next cut, �River�s Gonna Rise.� �The river going rise�.flood this town�it�s been too high and mighty�can�t keep her down�.the river�s going to rise!� Mother Nature has a way of achieving her own balance in the Universe and now it�s time for the water to rise. Our next cut, �She Only Hates Me,� is an inside joke between Jeff and Lois. �She tells me in the morning�I�m her Superman�she likes the way I sing�.she�s my biggest fan�but when she gets to drinking�she�s a one woman wrecking crew!� I can�t ever envision Lois tying one on but if she did� Jeff had better run! Texas legend Augie Myers makes an appearance on the piano in the fourth tune on the disc, �Betty Sue.� The band�s in high gear as Jeff tells us the story of Betty Sue, �she could pour heart out�tell like it is�she can creep up in your mind�like a sloe gin fizz�lay in on the table�spread it all out�.make a Jim Dandy�stand up and shout�Betty Sue!� Jeff also plays keys and it�s him on the piano as we move into �Less Is More.� �Seems like a long time�since I let go my youth�I had to look in every window�kick down every door�never satisfied�always wanted more�seems like a long time�since I looked in the mirror�but mores� not always righteous�the devil has many disguises�so just close the door�stop wanting more!� Sometimes we just have to make do with what we have, and that should be enough. The melancholy tones of Jeff�s Strat continue to echo this theme in our next cut, �U-Turns.� �Think you're king of the big top�you�re a sucker�s clown�remember, what goes up�will surely come down�.you got nowhere to go�cuz the bridges you burn�it ain�t the miles that make you wise�it�s the u-turns!� Whether we like it or not, wisdom is only accrued through experience and indeed, it isn�t the miles that make us wise, it definitely is the u-turns. The disc takes a playful turn as Jeff�s organ work introduces us to �Do Me.� �I had way too many women�try to walk away mad�I had too many deadlines�.all up here in my face�I had too many miles�.in this crazy rat race�so baby�do me�come on do me�.please do me good!� Sounds like a reasonable way to escape life for a little while to me. The next cut, �Sancho,� is a classic tale of cheating, with a twist. Jeff�s sure his woman is cheating on him and the mournful tones of his guitar are telling us this true. So Jeff does the reasonable thing and hires a detective to get him the answers he needs. �There�s an oil spot in my driveway�and my car ain�t got no leak�when I�ve been going to work�someone been parking in my space, I do believe.� The pictures the detective provides him are of his buddy Sancho�s car, so imagine Jeff�s surprise when he discovers the driver is female. �He showed me pictures of the driver�man, it threw me for a loop�Sancho wasn�t Sancho�just as pretty as you please�not sure I can call it cheating�seemed a little bit more like a fantasy!� Nuff said on this topic. The disc closes with two ballads, �Wishing Bone,� a tune of longing about a relationship lost and the need to find peace within, and the very sad �Gonna Be Blue.� In �Gonna Be Blue� we hear the story of a family having to come to grips with the lost of a loved one in battle, a woman, coming home to the family in a casket. �Cry on my shoulder�I�ll cry on yours too�but one thing�s for sure�it�s going to be blue�who�ll tell her Daddy�he should be proud�cause he taught this soldier�to never back down�she loved her country�said please carry on�and please tell Jesus, �another soldier�s coming home.� �To say �thank you� is all we can do. I�ve listened to a lot of Jeff�s discs over the years and I firmly believe this is his best disc to date. Even though I tease him about his songwriting, the tunes here are well-crafted and the musicianship of Jeff, D.C. and John definitely stands out. In his liner commentary Jeff dedicates this disc to Little Dave Thompson, a Mississippi bluesman and good friend of Jeff�s that we lost way too soon. Blue �Til I Die is an excellent disc and one to add to your collection. Little Dave would be proud, Jeff, you done good! 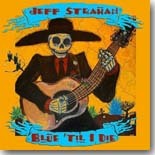 You can find out more about this Texas Bluesman and this disc on his website at www.jeffstrahan.com.